The move marks Rice's return to Mazda's European R&D Centre in Oberursel, Germany. As Senior Designer from 1995 to 2000, he contributed to many proposals for future Mazda's including the RX-8 and lead the development of the 'Neospace' show car, exhibited at the 1999 Frankfurt Motor Show. Rice subsequently spent 13 years at BMW, where he was responsible for the exterior development of many models including the new 3 and 4 series. He now brings this valuable premium experience to the unconventional Japanese brand. 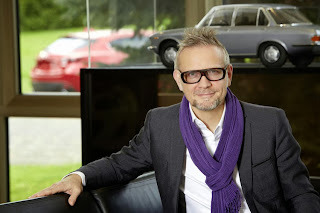 Rice, a British national, studied Transportation Design at Coventry University and prior to joining Mazda in 1995, honed his skills at Italdesign in Italy and Opel in Germany. "We're really excited to have Kevin back. He's no stranger to Mazda, and his experience at BMW adds an extra dimension that will transfer very well to our European design activities," says Peter Birtwhistle, Chief Designer at Mazda Research Europe. "He's certainly the kind of talent we need to lead Mazda successfully into the future." "I'm delighted to be here as part of a family guided by a convention-defying approach to designing and building cars that people crave to own," remarked Rice. "I've made it my personal challenge to reinforce the competitive edge of our Kodo-inspired models and build upon the Mazda brand's positive momentum."